The winner of the Lorraine Tyne Parminder necklace giveaway is Lisa Chen Ng. Please contact me to claim your prize. 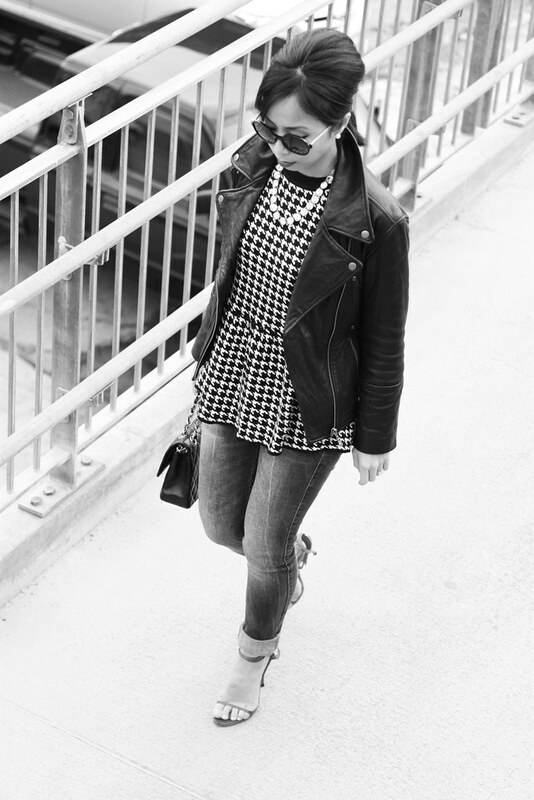 love the pop of red and also the black/white photos, very editorial! and yay for the winner!! i'm so excited. I love the way you do your hair. Do you mind sharing how you get that bump? loving it. the black and white photos are super ! Khatu, can you please do a tutorial on your hair. You look fabulous ! Yup. You confirmed it. 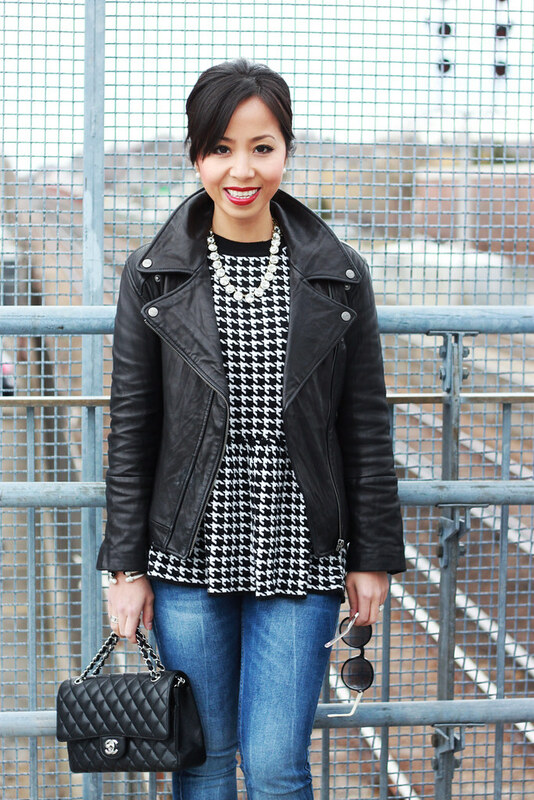 I need to make myself a houndstooth print peplum top. Fun! Love the look and the necklace looks great on you. Loving the print on print mixing. So cute. Can I just steal this look?! Love it!!! Your pictures look amazing.